A sense of accomplishment from problem-solving and discovery is why many of us do what we do in drug product development. However, formulations scientists, analytical chemists, and procurement specialists do not choose their projects. This choice is driven by corporate strategy. So when a new drug product is identified for development, it can be like Thanksgiving dinner — an enormous feast in the company of people with opinions and viewpoints that may be vastly different than your own. In organizations with an outsourcing model for drug product development, finding the right partner that can meet the collective needs of all stakeholders is critical to a successful outcome. There is no one-size-fits-all solution. If you've been following this series of articles, you already know utilizing a well-thought-out RFP is critical to CDMO selection because it places you at the head of the table when reaching out to vendors and helps you control the outcome. Provide information and guidance, but leave room for flexibility. For EFD, the objective is not to get proposals that are comparable line item by line item. Instead, expect to receive proposals that outline a scientific approach that should make sense for your project. Where expertise and experience are required, understand that each CDMO research team may have a unique approach. Instead of insisting on a design-of-experiment strategy or classic pre-formulation/formulation screening, invite CDMOs to put forward their ideas to get a feel for their scientific thought processes. A large part of the scope will be dedicated to analytical methods development and testing. It pays to evaluate expertise for these activities. In certain instances, analytical capabilities will outweigh formulation and process capabilities, e.g., inhalation technologies and topical skin model testing. Because of the above considerations, benchmarking cost becomes less meaningful. Prioritize technical capability if you're looking for something more than a quick and dirty result. Have holistic discussions on your target product profile (TPP) and how to get there, but think about limited scopes of work with clear milestones if you are budget constrained. In each article of this RFP how-to series, we cover the rudimentary questions to ask to prime the CDMO proposal process. Be clear about your objectives. What will the product be used for? Communicate if you need pharm/toxicology supplies, clinical trial materials for human studies, or simply prototypes for performance testing. These define the level of controls and materials that can be used. Be clear about your role. Will you take the lead? The better the CDMO fit, the less you will feel the need to take the lead. Depending on your role and position within your company, decide your level of involvement, e.g., project manager versus scientific lead. If you buy into their approach and believe in their skillsets, you can then build the trust to set them to task, allowing you to focus on other responsibilities. Articulate and be specific about your PRS, aka TPP. Many refer to the TPP, but I prefer PRS because it triggers a specific response linked to a design and technical specifications model that can be transformed into the formulation development report. Provide an adequate technical package. You get what you give. Review all available information, and determine what can be shared. Providing little to no technical information will increase the scope and cost of your project, as the CDMO will have to generate much of the basic data on its own to support its knowledge base. Sometimes the tail wags the dog. Thinking ahead, the commercial manufacturer may have constraints, e.g., equipment and packaging components, that will significantly impact cost and timelines if you need to make formulation/process or packaging changes upon tech transfer and scale-up. Where possible, find these out and include them in the PRS. It is important to communicate anticipated milestones to a CDMO so you can develop timelines that sync with cross-functional activities. Examples include: The clinical team has made commitments to begin studies, so drug product (DP) will be needed by a certain date. Regulatory and commercial will have expectations for filing and launch that must align with drug product development activities. Depending on variables such as timing, development stage, and budget, you or a CDMO may select one or all of the following EFD strategies. Stable API — Known instability or incompatibilities can quickly sink efforts or render results nonviable. Traditional dosage form — APIs easily formulated into a tablet, capsule, liquid, or platform delivery system may be good candidates. Existing DP — marketed formulations of the same or similar API are a good starting point for EFD. Non-class II; no solubility or absorption challenges. Drug in capsule — for first-in-man studies, this has become a standard approach requiring minimal EFD. Project managers responsible for EFD know this means a comprehensive and methodical strategy to address each PRS line item. 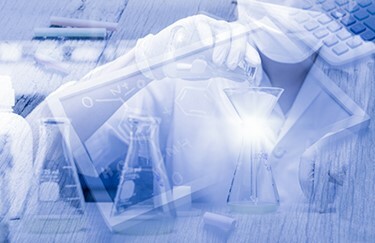 Key terms may include “design of experiment,” “quality by design,” and “characterization.” In the name of flexibility, refrain from insisting on a single approach, but in technical discussions encourage a dialogue to uncover what a CDMO development team has found works best for them. If there are clinical commitments to provide materials, quantities must be communicated to the CDMO. The DP's intended use will also determine the level of quality (non-GMP versus GMP) needed, which impacts cost, controls, and timing. For EFD, typically the output is not inventoried product, but number of prototypes for evaluation, samples, and preliminary data. EFD is a horse race. You want a win, place, and show to take forward into further studies along with characterization data. Typically, clinicians want more than one formulation. Bench-scale prototypes (non-GMP) are quick and cheap; pilot-scale GMP batches increase in cost and timing. Pilot- or commercial-scale batches (if you are developing a generic) set up a risk/reward paradigm. Consider API cost and availability in designing any study. Project scopes can be requested in various ways, but for EFD it may be beneficial to use open-ended language to encourage technical discussions. Here are some examples of such language: "Propose a formulation development strategy and testing to yield up to three viable formulations that meet the PRS." “Suggest various process strategies and unit operations appropriate for viable formulations, and point out any pros and cons associated with each approach.” “Propose a container closure system that meets the PRS, and comment on the scalability and/or machinability challenges we may encounter upon scale-up.” A comparison of the responses will differentiate the bidders. Build in flexibility. Use open-ended statements in the project scope. Let the CMO demonstrate their expertise, creativity, scientific depth, and technical capabilities. Use the RFP to foster technical discussions. There should be multiple calls and a site visit to refine the strategies and scope. Tackle the project in chunks to manage budgets. The search for a CDMO partner for EFD starts with gaining alignment with your internal stakeholders and developing a product requirements specification you can share in the RFP process. You get what you give. It pays to share as much technical information about the physiochemical characteristics of the API and any previous development work that has been done to prime discussions with each vendor. This will save on cost, but for EFD be aware other criteria (operational, technical, analytical, etc.) may outweigh a direct comparison of vendors based solely on budget. Instead, focus on evaluating different approaches and understanding the expertise brought to the table by each team. Respect confidentiality when discussing among vendors, but use information to develop an overall comprehensive strategy. Find what works best for you and the project during the selection process, and build from there in subsequent requests.